Total project budget was 578.179 euros. MEDTRENDS aimed to illustrate and map the most likely integrated scenarios of marine economic growth at the transnational level in EU Mediterranean countries for the next 20 years. 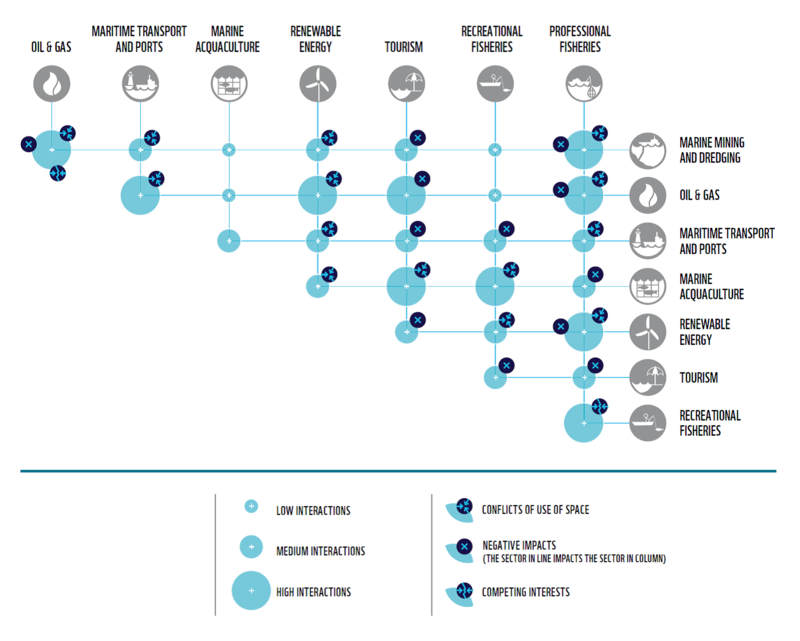 It shows an in-depth analysis of the current situation and future trends in 10 of the main maritime economic sectors, their drivers and environmental impacts (including Blue Growth). The analysis is done in particular in the context of the 10% marine protected areas target set for the Mediterranean and the GES objectives of MSFD. Results are available through a dedicated web-portal for 4 of the most important sectors: offshore oil and gas exploration and extraction, maritime transportation and port, professional fisheries and tourism (Blue Growth). Results for other sectors are included in MEDTRENDS reports. The analysis was implemented at the Mediterranean regional or sub-regional (Adriatic Sea) scales and more specifically at the level of the 8 EU Mediterranean countries (Croatia, Cyprus, France, Greece, Italy, Malta, Slovenia and Spain). The project also included the following associated partners: WWF Baltic Programme, Plan Bleu, MedPAN Association.